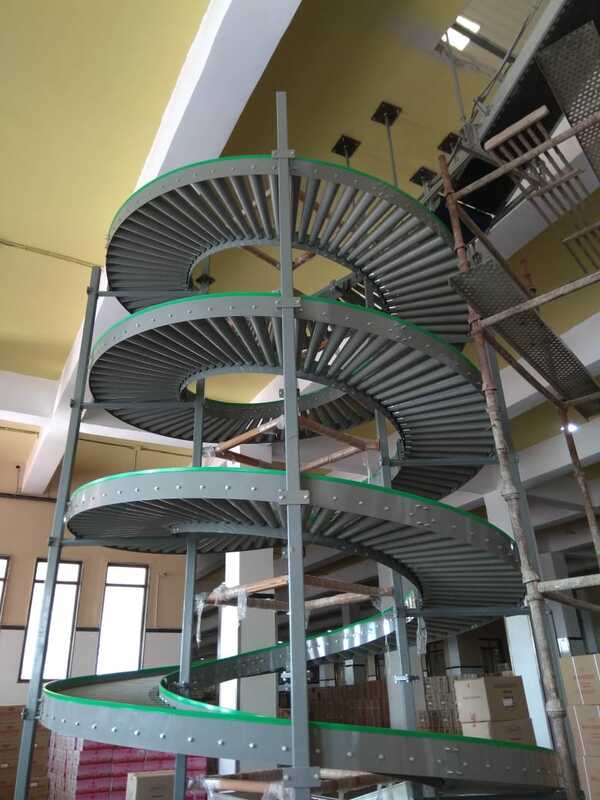 The Spiral Chutes, also popularly known as Sprial Gravity Roller conveyors are quite based on the concept of gravity roller conveyors with a spiral declining profile. Essentially to be used in applications where material is to be transferred from a higher point to a lower point. These conveyors can also have more than one input (for example- material from Ist and Second floors) with one output (eg. to Ground floor). These do not use any electricity and and one of the most easiest conveyors with economical running costs.